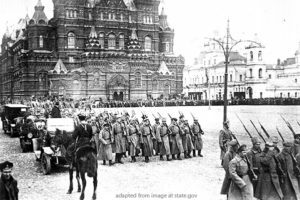 Ever more Russians are drawing analogies between their country today and its situation in 1917 and between Vladimir Putin and the last tsar Nicholas II, sociologist and commentator Boris Kagarlitsky says; and this is quite “logical” given the tone deaf reaction of the powers that be in both cases to growing popular anger. Kagarlitsky, who approaches these questions from the point of view of Marxist analysis, tells Yevgeny Rychkov of the Nakanune news agency that most officials assumed that the Russian people would swallow the pension reform and not find any way to move from grumbling to protest (nakanune.ru/articles/114784/). That is because the powers that be thought that things were fine; and as a result, they did not understand that “in fact the pension ‘reform’ was simply the last drop” that overfilled the cup of popular anger about the regime’s failure to keep its promises and ensure that the population’s standard of living rose instead of fell. Such anger was palpable already in 2016 if not earlier, Kagarlitsky says; but it came into focus because the pension “reform” provided people with an occasion to “articulate and consolidate” their feelings. The authorities indeed should be pleased that things did not go beyond permitted meetings. That will happen if the powers don’t react more adequately. Now that the people have changed their attitude toward the powers “in general,” each new action by the authorities, as can be seen with the Kuriles discussion, will push them toward ever greater radicalization. Earlier, the authorities could count on people coming to terms or being distracted by foreign adventures; but that is no longer the case. “And there is no path back,” Kagarlitsky says. “This is a hopeless situation.” And curiously, “however strange it may seem,” he continues, the protests in France and in India are prompting the Putin regime to consider what may be ahead for them for the first time.